Welcome to our new weblog. On this site you will find an archive of articles and information, as well as news and feedback on a broad spectrum of topics. Moving to Spain – all you need to know! 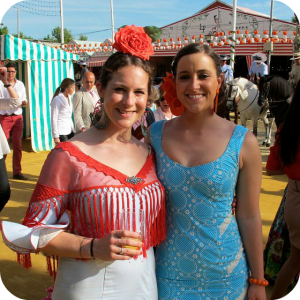 Cat Gaa and Hayley Salvo met in Spain, having left the United States to embark upon new lives in the country. They found they had a great deal in common, amongst others just how complicated and challenging it was to tackle the paperwork, bureaucracy and the official documentation before they could relax into the laidback Spanish way of life. To help others avoid the same pitfalls, they decided to work together and compare an e-book guide to moving to Spain. From searching for apartments and negotiating with landlords to opening bank accounts and setting up phone contracts, their first few weeks were laden with obstacles and pitfalls as they navigated blindly through the often complex Spanish systems, struggling with misinformation and language barriers in order to settle into their new lives. Seven years later they are business partners, thriving and loving the Spanish lifestyle. Having learnt so much through trial and error and fought a great deal of Spanish red tape along the way (and won! ), they decided to create an informative, fun and easy guide to moving to Spain, so that others can learn from their mistakes and successes. Moving to Spain: A Comprehensive Guide to Your First Weeks on the Iberian Peninsula is a simple and straightforward guide to all you need to know when you first arrive in the country. Packed with useful tips, handy hints and plenty of vital information, as well as some of the pair’s amusing anecdotes and a glossary of the necessary Spanish vocabulary and phrases to get you started, this brilliant eBook is a wonder guide to beginning life in Spain. Containing relevant and important information on all areas of moving to Spain, from visas to residency cards and NIE numbers, as well as original ideas and suggestions, including what to pack, where to look and what questions to ask, this eBook will guide you seamlessly through the ins and outs of the system and simplify the whole process for you. Providing invaluable firsthand tips and advice, this guide will not only help you with finding a new home, work and schools, but will give you an insider view into the Spanish way of life from routines to manners, so that you can settle smoothly into your new lifestyle and the hardest decision you will have to make is which tapas to choose for lunch! Cryptocurrency – Future or Fad? Modern Families – what does the future hold? This entry was posted on Tuesday, October 7th, 2014 at 5:58 pm	and is filed under Business and technology, General Interest, Spain, Travel. You can follow any responses to this entry through the RSS 2.0 feed. Both comments and pings are currently closed. All contents in Michel Cruz are © Michel Cruz. Here you can find resources and information on topics such as Real Estate, Industrial Design, Motoring, Architecture, Politics, Art, Luxury, Lifestyle, Design, Property, Travel, History, Social Culture, Business, Restaurants, Hotels, Celebrities and People. If you would like to use or reproduce part of this page, ask the author for permission first. If you would like to mention the site, please use a trackback link so we can be aware of it. Original concept and maintenance by my friends in Rimontgo Costa Blanca Real Estate Agent.